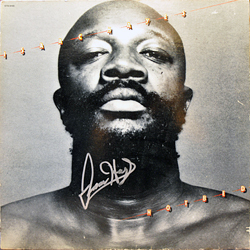 Description: Issac Hayes Hot Bed LP. 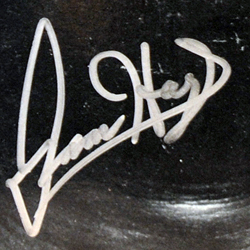 Signed by Issac Hayes in silver sharpie pen. LP not included. Note: Item signed while on Issac Hayes 2005 book tour at Borders Music in Dallas Texas. 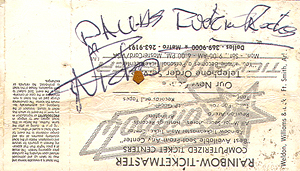 Description: Original concert ticket stub signed by Nicko McBrain in black ball point pen. 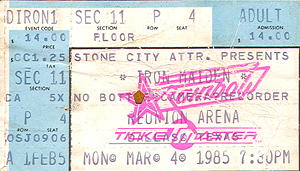 Note: Item signed on Iron Maiden's 1985 US tour backstage at Reunion Arena in Dallas Texas.